From gating to glitching, repeating to scratching, all with stunning audio quality and up to 6 distinct bands, that's MMultiBandRhythmizer. A unique time manipulation effect that uses an integrated sequencer to control time, volume and filters. 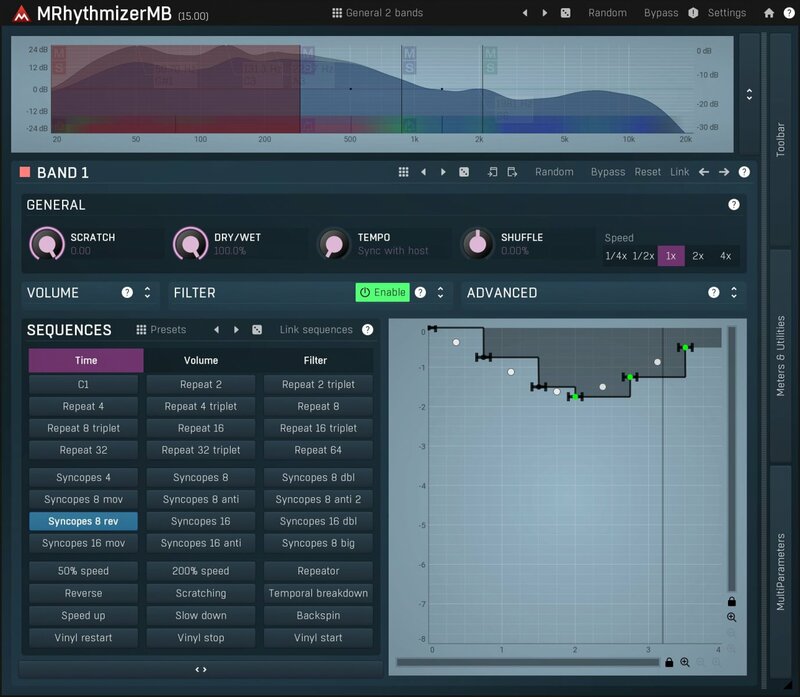 MMultiBandRhythmizer brings your music to life, say goodbye to boring audio performances! The integrated sequencers will bring life into otherwise static performances. Switch between sequences using the controller you like the most, whether it is MIDI keyboard, MIDI pad-type controller, automation or you can even attach it to a modulator so that it switches automatically! 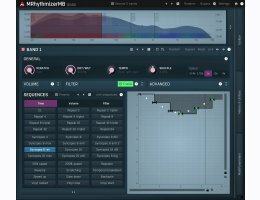 We all know scratches, but with MMultiBandRhythmizer you can scratch multiple bands using a simple slider, or you can use modulators and the plugin will do it automatically!